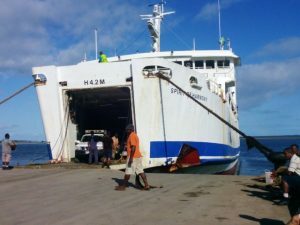 Natovi is frequented by regular cargo and passenger Ferries linking Fiji’s main island Viti Levu to Ovalau (Buresala Landing) and Vanua Levu (Nabouwalu Landing). There are also occasional vessel departures to the Islands of Lomaiviti. 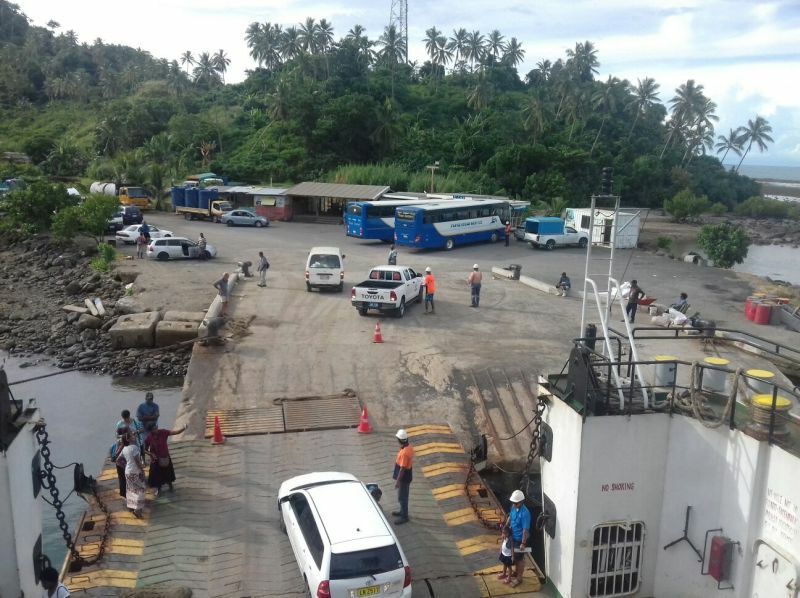 Natovi Landing is a ferry jetty in Tailevu, Province, Fiji. Natovi is located north of Suva, the bus ride is about 2 hours. The trip passes through Nausori Town (where Suva Airport is located) up the Rewa River valley, through Korovou village till you reach the Ferry Landing. The bus drive is very scenic, trough beautiful jungle, and coastal scenery. Patterson Brothers operates daily bus ferry services from Suva to Levuka, and from Suva to Labasa and from Suva to Savusavu. Bus for Levuka departs Suva Main bus Station at 1 PM (find Paterson Bus opposite the Suva Flea Market). The bus trip takes about 2 hours to the ferry at Natovi Landing. Crossing to Ovalau is about 1-hour sea time followed by another hour on the bus to Levuka Town. The Crossing to Nabouwalu takes about 2.5 hours. From here the buses to either Labasa or Savusavu take about 4 hours. 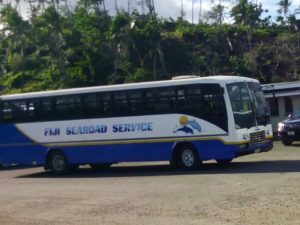 Bus/Ferry service 3 days a week from Suva to Levuka. Vessels depart from Natovi Landing and Narain’s Wharf, Walu Bay, Suva. Routes include Levuka, Kadavu and Savusavu. Departs from Walu Bay, Suva to Savusavu, Taveuni, Kadavu, Koro, Northern Lau, Rotuma. Only occasional departures from Natovi.